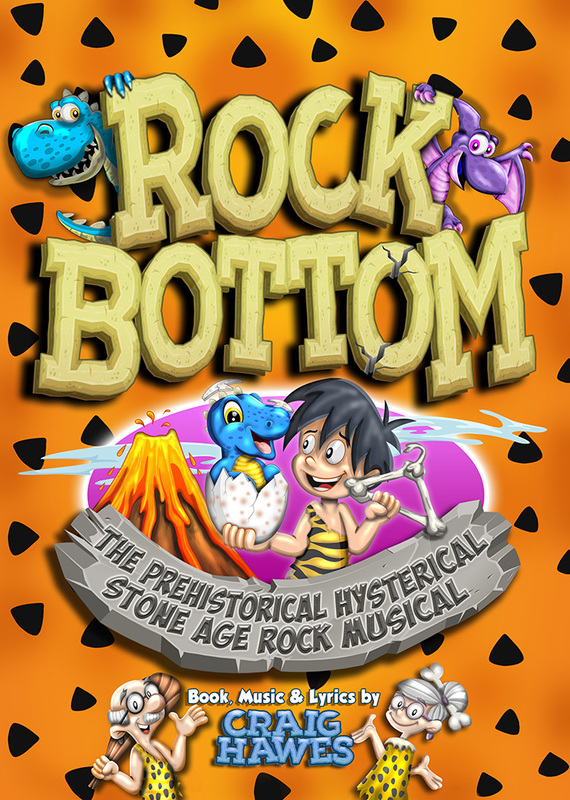 Redlands Primary School take you back to the dawn of time in "Rock Bottom", the brand new prehistorical hysterical Stone Age rock musical! Meet The Cobblestones, just an ordinary Stone Age family of cave folk living on Stoney Street, Rock Bottom! But when cave boy inventor Bobby Cobblestone hatches his very first good idea, he's whisked off to work for none other than the beautiful celebrity Lady Lava! Unfortunately, BC is soon up to his neanderthal neck in trouble when he discovers his new boss hides a dark secret that will rock Rock Bottom to its foundations. With mysterious monsters terrorising the town and a volatile volcano ready to blow its top, can BC become a little boulder and hatch a plan to save his family, his friends and his very own precious Rock Bottom? Only time will tell! A cast of crazy cave folk join in the neolithic naughtiness, not to mention a flock of prehistoric birds, two dippy dinosaurs, a vacuum-cleaning mammoth and a sabre-tooth tiger called Tiddles! With eight toe-tapping songs to get you rocking like a rolling stone and a puntastic script as sharp as a flint, one thing's for sure - the Stone Age rocks!